NVIDIA has not announced the GTX 1080 Ti yet but many are already speculating about the GTX 20 series cards which may include the GTX 2080, GTX 2070 or even the GTX 2060. Rumors of the GTX 1080 Ti suddenly surfaced after the Pascal GTX Titan card was revealed several weeks ago. It turned out to be more powerful than the GTX 1080 but was unreasonably priced as others believe. The compromise might come in the form of the GTX 1080 Ti which would be the Pascal equivalent of the GTX 980 Ti from the Maxwell architecture. NVIDIA's new card would feature nearly the same performance of the Titan but would be still affordable for most people. NVIDIA could use TSMC's improved 16nm process for the GP104 variants which could be the GTX 2080 and the GTX 2070 in 2017, WCCFTech has learned. There is no certainty that NVIDIA would still continue with their 10 to 20 count or if they would actually use the 11 naming series considering that they have just skipped by hundreds with their current GPU offerings. The GTX 2080 is speculated to have a boost clock of over 2000Mhz considering that the current GTX 1080 Founders Edition can quicky overclock to 2Ghz without a sweat. It could mean that the GP104 cards can easily be overclocked up to 2300Mhz or even 2500Mhz. 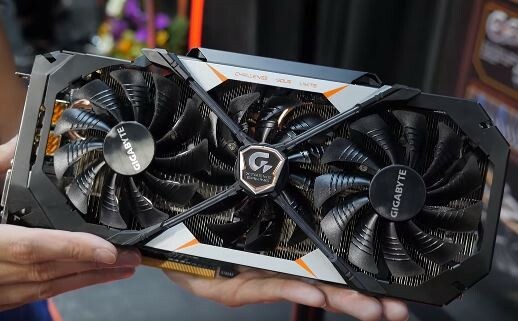 All of the GTX 2080 and GTX 2070 variants will also have the same GDDR5X memory which leads to a higher and faster bandwidth for the cards, TechFrag reported. The CUDA core count could go as high as 3384 based on the rumors and speculations. NVIDIA would probably unveil the GTX 1080 Ti first in early 2017 before they could surprise the world again with the GP102 GPUs. Some do not expect a huge performance boost considering that Pascal was the big jump and it could take several more years before the companies are capable of making that big of a leap again. The GP104 video card from NVIDIA is expected to be launched in 2017. PC gamers looking to upgrade their GPU would best wait for the GTX 1080 Ti or the GTX 2080.